If you fall in a restaurant, retail store, or parking lot as a result of the property owner’s negligence, you might be able to secure compensation with the help of a personal injury lawyer in Tracy or Manteca. 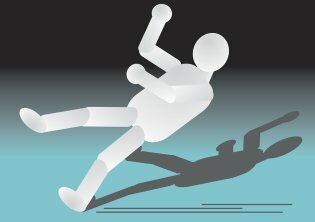 Since slip-and-fall cases, also known as premises liability cases, are difficult to litigate successfully, it’s important to get in touch with an experienced lawyer right away. Your injury lawyer will give you invaluable guidance to preserve your legal rights after the accident. Report the accident right away. If the accident occurred in a retail establishment, you should notify the manager or owner before leaving the area. Insist that the manager files an accident report noting the important details of the incident. Request a copy of the accident report for your own records. 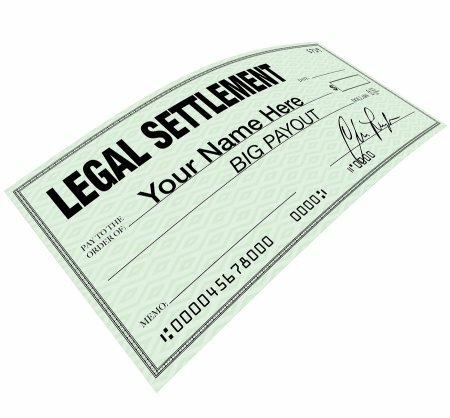 Your lawyer will need to look at this later. Preserve all available physical evidence. Physical evidence is crucial in a premises liability case. If possible, take pictures before you leave the scene. Photograph the hazardous condition, such as a wet area of the floor that lacked a caution sign. You could also take pictures of your injuries. Make a note of whether there is a surveillance camera nearby. Ask nearby witnesses to write down their full names and contact information. Later, keep the clothing that you were wearing and do not wash it, especially if it has bloodstains. Preserve all damaged property, such as broken eyeglasses. Keep all of your medical bills and receipts, and retain documentation for all other losses, such as lost wages. Get a medical evaluation promptly. In severe cases, you may need to be transported to the hospital via an ambulance. Even if your injuries don’t seem to be too serious, you should go to an urgent care center or ER immediately. It’s important to have a doctor document your injuries promptly to add to the evidence that the fall was the cause of the medical problems. Do not agree to give a recorded statement. You may be contacted by a claims adjuster. Avoid answering any questions and refuse to give a recorded statement. Instead, provide your lawyer’s contact information and insist that all questions be directed to him or her. When Is a Restaurant Liable for Your Slip and Fall Injury? Restaurants are prone to spills and chaotic conditions, which means they are also prone to hazards that cause people to slip and fall. When you’re hurt in a fall in a restaurant, how do you know if the restaurant is to blame? Personal injury lawyers in Tracy can evaluate your case and let you know where you stand. This information will also help. To prove that a restaurant is responsible for your slip and fall injury, your personal injury lawyer must demonstrate that the fall occurred because the restaurant was negligent in some way and that you did not do anything to contribute to the fall. For instance, your lawyer must show that there was a spill on the floor that the restaurant was negligent in not cleaning up and that you did not ignore any wet floor signs before slipping in the spill. When your injury lawyer successfully makes this case, then the restaurant may have to pay for your medical costs and compensate you for any pain and suffering that occurred because of your injury.